Home to a traumatic but rich history, gorgeous colonial cities and stunning scenery, Colombia has something for every fellow traveler to enjoy. You can jump on a plane and in less than an hour find yourself in a completely different world, be it the silver sandy beaches on the Caribbean Coast, the cobbled streets of a charming colonial town, or the lush green coffee plantations hidden in the Andes Mountains. However, being such a large country with so many amazing destinations, it can be quite overwhelming to plan a trip. To help you decide where to go, here is a list of the 12 best cities to visit in Colombia, from the obvious to the more unique. 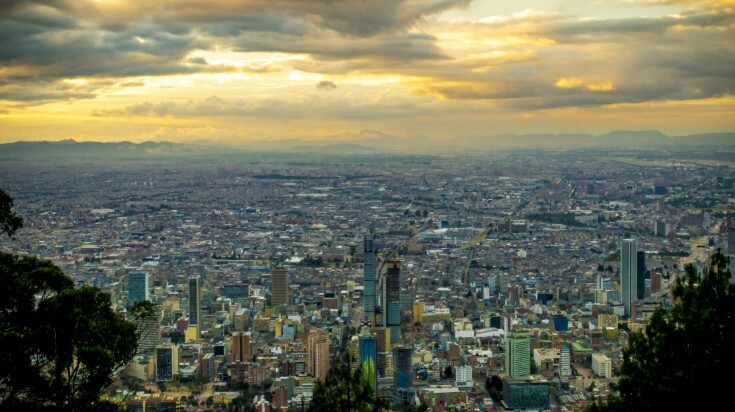 Bogota, also referred to as The Athens of South America, is Colombia’s capital and one of the largest cities of the continent. The city’s cultural hub is La Candelaria, the cobblestoned historic downtown to which most travelers tend to gravitate. It is packed with colonial buildings, trendy cafes and interesting museums including the most famous Museo del Oro, which contains more than 34,000 pieces of gold and other kinds of articles belonging to the pre-Hispanic societies in Colombia. Be sure to check out the Gaira Café Cumbia House on a Friday or Saturday night, it will guarantee you a great Colombian-style night out! 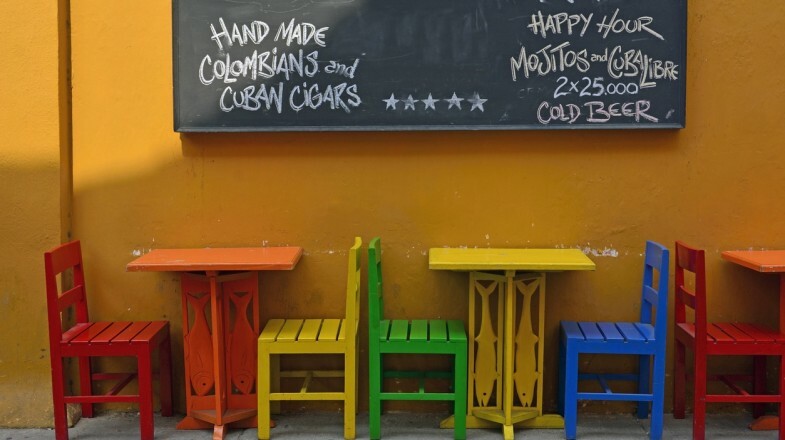 Run by the popular Colombian singer Carlos Vives, this eclectic restaurant and bar has its own stage for weekend live music shows and serves delicious coastal Colombian dishes. 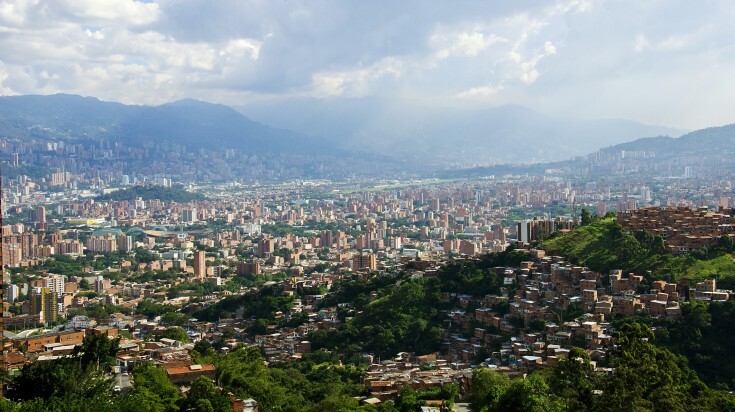 The second biggest Colombian city is Medellin, the epitome of a city that has completely reinvented itself. Once home to Pablo Escobar and considered as the most dangerous city in Colombia, Medellin is now proudly positioned as the country’s most desirable city to live in. Thanks to its remarkable urban innovations throughout the past years, it was even voted as the World’s Most Innovative City in 2012! Travelers who come here will find an inviting, vibrant city with the best climates one could ever ask for. Any time of the year is good for a visit, but with the famous Fería de las Flores (a huge 11-day flower festival celebrating the region’s culture) taking place in early August, that would be the best time. 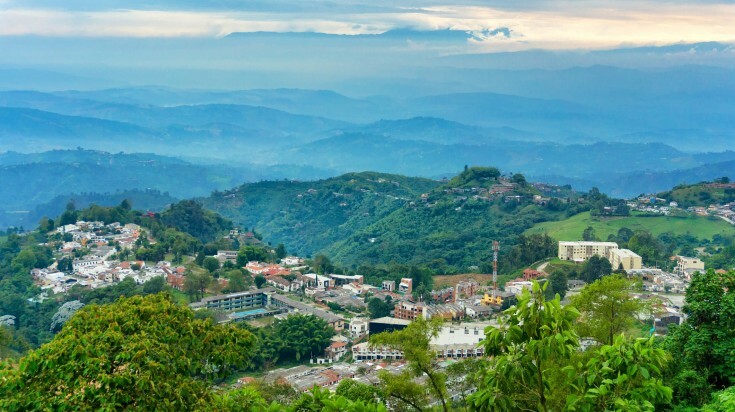 Manizales is tucked high in the Andes Mountains between Medellin and Bogota, surrounded by coffee farms and filled with steep hills. Being home to several big universities in Colombia, the town has a hip and youthful vibe year-round; one unique thing to experience is the emblematic Manizales Fairs, a national cultural heritage that takes place every year on the second week of January, hosting bullfighting, parades and the famous International Coffee Beauty Pageant. Manizale is also very close to the famous Parque de Los Nevados and its snow-capped volcanoes. Hiking up the national park is challenging but the scenery is definitely rewarding; you will even get to see the world’s only pink lava! Probably Columbia’s most popular destination, Cartagena is another precious gem that you must visit. The beachside city is steeped in tropical heat, making it the perfect place for soaking up the sun while sipping on a glass of lemonade. 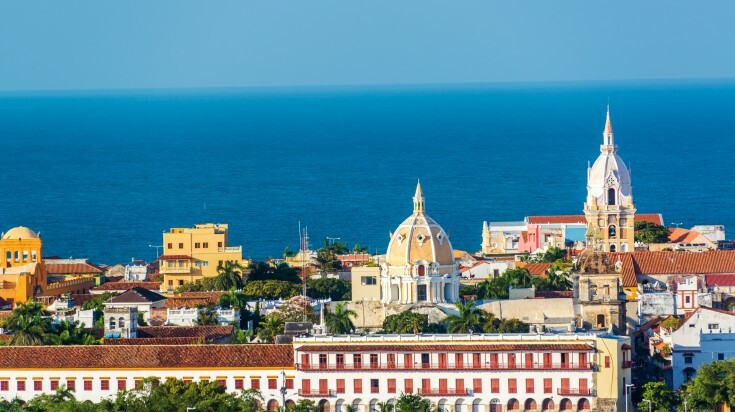 Cartagena is also adored for its effervescent nightlife and soulful old town— a beautifully preserved maze of paved streets, majestic churches and bright-colored colonial buildings covered in flowers. Be sure to do a day trip by boat to Isla de Baru. It is just shy of an hour outside Cartagena and is home to Playa Blanca, a gorgeous beach with crystal clear water and swaying palm trees. A real heaven! One simply cannot talk about Colombian beaches without mentioning San Andres. The seahorse-shaped island sits off the shores of Nicaragua and although relatively far away from the mainland, it remains the most popular beach destination for mainlanders. Beach-goers seeking a bit of relaxation will find here the perfect place to laze away in hammocks while watching the world pass by. The sunsets won’t disappoint and many casual beachfront restaurants with great ambiance can be found. Fun fact: being a Colombian territory in Costa Rican and Nicaraguan waters, San Andres is in fact a duty-free zone! Goods sold there are cheaper than any other airport in the world so get your credit card ready, it’s time for some shopping! Another prime spot for beach lovers would be Santa Marta. 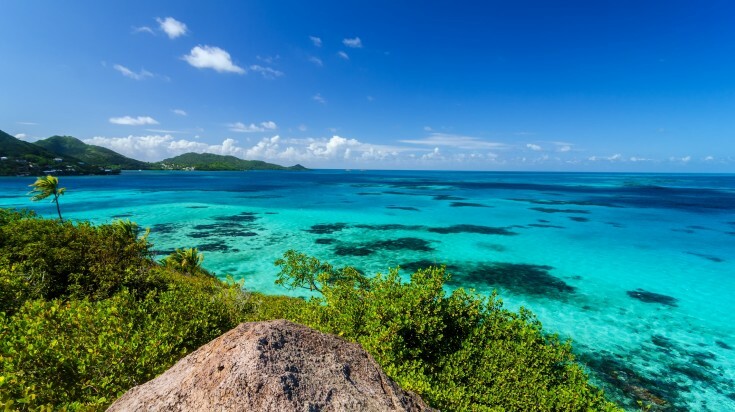 Also located in the Caribbean Sea, it is often used as just a jumping off point for the surrounding islands, but is definitely worth dedicating some more time to! Santa Marta’s inspiring ocean views are no less spectacular than those in San Andres and offers some unforgettable experiences such as swimming with dolphins and reef snorkeling. Don’t forget to visit Tayrona National Park, it is perhaps the best trip you can take out of Santa Marta and takes only 45-minutes by bus. 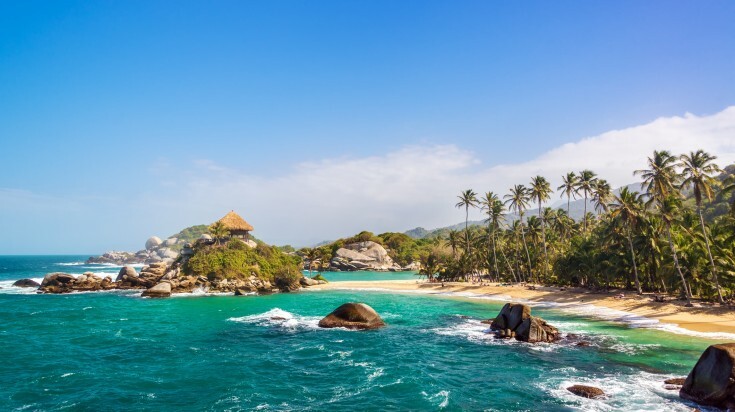 Its untouched beaches and rustic charm makes it one of the most picturesque sights in Colombia. 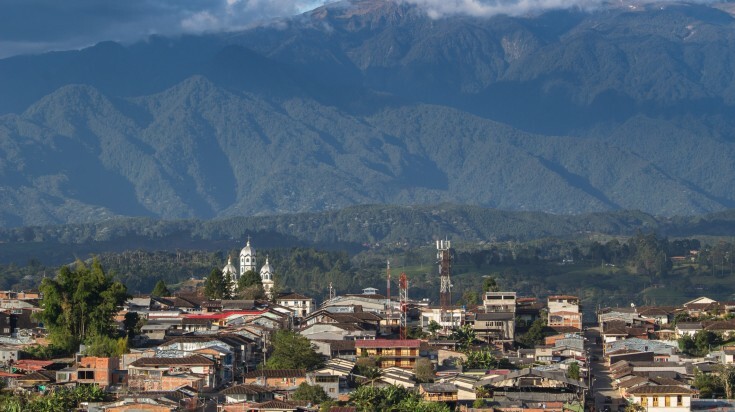 Salento is a charming little town located in the heart of Eje Cafetero (also called the Coffee Triangle), a region in the Andes Mountains famous for producing excellent coffee. 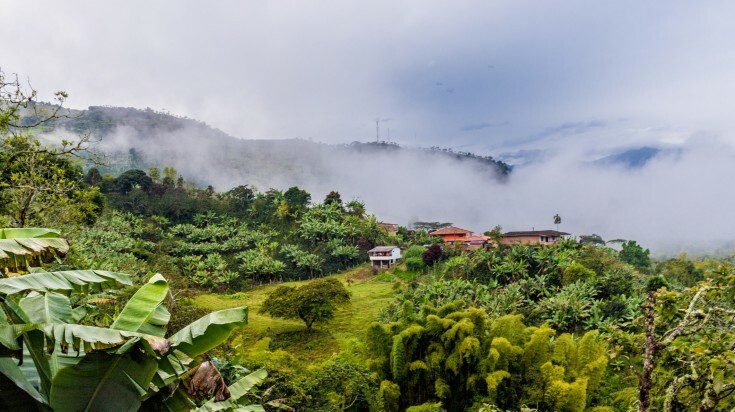 Widely known for its coffee estates and verdant landscapes, the small town has long time been a popular getaway for vacationing Columbians and foreign backpackers, yet has been able to retain much of its old-world charm. 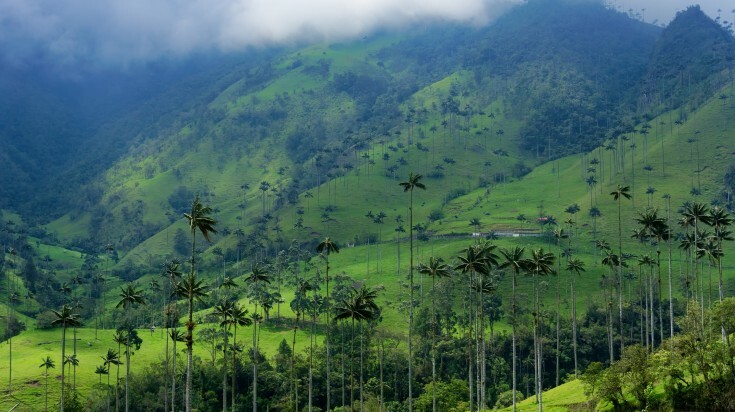 The real draw of Salento would be Valle de Cocora. Hop on one of those shared jeeps at the main square and visit the swaying lines of Quindio wax palms, Columbia’s national tree. They are also the tallest palm trees known to man, standing nearly 60 meters above the green valley floor! While Salento is very popular on the backpacker trail, you could have the idyllic town of Jardin to yourself. 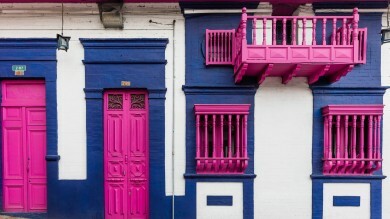 Known for its brightly-painted houses, colorful floral displays and milk candies, Jardin is one of the prettiest Columbian towns that has remained virtually unchanged for more than a century, you will feel like you’ve entered a time capsule and have been brought back in the past! For nature lovers, go on a challenging hike to Cueva del Esplendor, a stunning series of caves and waterfalls a few hours outside the city. Amid beautiful landscapes, this spectacular cave has a 10m waterfall gushing through a large hole in the roof. Jump into the natural pool and have a quick dip! Another of Salento’s sister towns is Filandia, also located within the “Coffee Triangle”. It is much less frequented by foreigners than other areas of the region, in fact you will probably be the only few foreigners in town, which is the perfect chance to have an authentic experience of the place. You won’t find stores selling souvenirs and printed t-shirts; instead, you will see a Colombian working-class town that is focused on itself and what it does – traditional woven baskets and coffee. Stroll along the streets of color-splashed houses and inhale the delicious scent of coffee that lingers in the air. The best thing to do in Filandia is to take a second and do nothing at all, except enjoy a nice cup of the very thing this region is known for. If drinking isn’t enough, visit any of the coffee plantations and learn how it’s made with a local coffee farmer! Pasto is one of the oldest Colombian cities and is home to a wide variety of people, including different aboriginal tribes. The rich history and culture, paired with the delightful natural wonders nearby, makes the city a great destination of choice for those wanting to explore somewhere that is off the beaten track. Every year during the first and second week of January, the city becomes the world’s biggest playground. Pasto is known for hosting the annual Carnaval de Negros y Blancos, a riot of color and raucous parades where locals wear both black and white makeup to celebrate racial integration. It is one of the best traditional festivals in Colombia so if you happen to be visiting the country around January, come to Pasto and join the party! San Agustin is a little town buried in the rolling green hills of the southwestern part of Colombia. Although not as charming as colorful Salento or Jardin, San Agustin makes up for it with its famous UNESCO World Heritage Site, Parque Arqueologico. The park is home to over a hundred of 3,300-year-old stone statues illustrating some rather odd animal-human creatures. 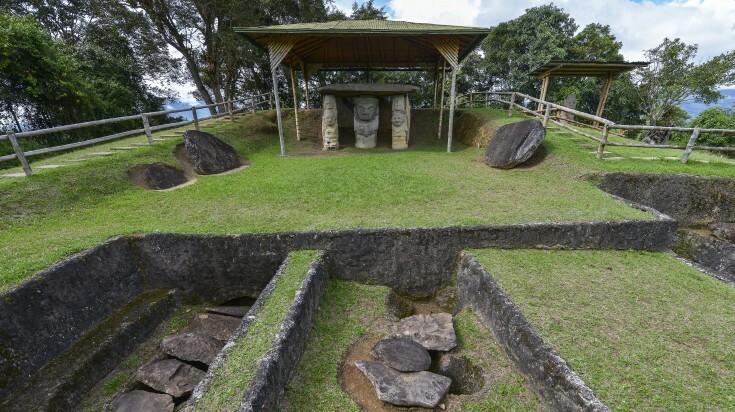 Until now, there are still no clear answers to why and how these statues were carved and is likely to remain a mystery forever, making this one of the most fascinating sites in Colombia. Finally, we have the city of Mocoa. Being part of the Columbian Amazon, it is home to some of the coolest waterfalls and swimming caves and is already one of the “hipster” destinations of choice in Columbia. A lot of travelers come to try the ayahuasca, the legendary hallucinogenic concoction that traditional Amazonian healers use to cure the troubled mind and soul. But if this is not your cup of tea, there are plenty of other things to do, such as birdwatching tours in the rainforest and jungle hikes to the Fin del Mundo and Hornoyaco Waterfall. It is not hard to tell from this long list that Colombia has a dizzying number of destinations to choose from; there is just so much to see and do for the avid traveler! Whether you’re looking for a relaxing beach holiday, an action-filled adventure or an authentic cultural journey, Colombia has it all. Hopefully, this list of best cities in Colombia has been able to help narrow down your options a bit and if not, you’ll just have to return again one day! If you are interested in The Lost City Trek then head over to our guide about this famous trekking trail. If you are visiting Colombia soon but looking for a good place to stay then check out some of the best hotels in Colombia. If you are looking for more then check the top things to do on a short trip to Colombia. What’s a fun place to go to?